In a nutshell: Debt collection is the leading source of complaints reported to the CFPB, as many Americans struggle to repay debts and are burdened by unlawful bill collectors. Many are unaware that some collection agency tactics are illegal and preventable by understanding their debt collection rights. 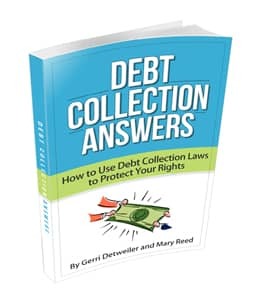 Finance and credit experts Gerri Detweiler and Mary Reed collaborated on the free, must-read eBook Debt Collection Answers: How to Use Debt Collection Laws to Protect Your Rights. The eBook and DebtCollectionAnswers have helped more than 10,000 people, offering free resources, actionable tips and legal leverage for dealing with debt collectors. Are you being persistently called by debt collectors at inconvenient hours or your place of work when you’ve asked them not to? If so, that is considered harassment and a violation of the Fair Debt Collection Practices Act (FDCPA), which was enacted in 1978 to protect consumers from unfair and abusive debt collectors. This is just one example of how debt collectors can break the law, and you can find many more examples in Gerri Detweiler and Mary Reed’s free eBook, Debt Collection Answers: How to Use Debt Collection Laws to Protect Your Rights. Debt Collection Answers is based on thousands of consumer questions regarding debts and the laws surrounding them. The Consumer Financial Protection Bureau (CFPB) handled 88,300 debt collection complaints last year, making debt collection the leading source of consumer complaints. We spoke with co-author Gerri Detweiler about the inspiration behind the book. “One of the reasons we wrote the book is because consumers don’t always know they have these rights and they figure ‘well I have this debt so I’m stuck and there’s nothing I can do about it.’ While the federal law doesn’t stop you from paying a debt, it does stop certain types of harassment and abuse from collectors,” she told us. Not every debt collector is engaging in harassment or illegal practices. However, Gerri explained that those who are lead consumers to feel like there’s not a lot they can do, but there is a lot they can do. “They can file a complaint with the FTC, or they can talk to a consumer law attorney who may be able to help them at no cost. They can also file a complaint with their state attorney general,” she said. Debt Collection Answers is designed to help you make more confident decisions when dealing with your debts by understanding your rights. The book may only have four chapters, but within those four chapters is a wealth of information spread out through 58 subsections, including special tips, advice and warnings in each that provide readers with further insight. Debt Collection Answers is a completely free resource for the public and is regularly updated with new information. The book was originally written in 2007 and has been continually enhanced with additional information over the years. “One of the reasons why we’ve made it a free eBook is that when something important happens, we’re able to update it and get it out to consumers right away,” Gerri said. You can be notified whenever an updated version becomes available by signing up for email alerts on DebtCollectionAnswers. No email address is required to download your original copy of the book. There are 2,500 additional questions answered on the site in the Q&A section. You can find answers to a vast range of topics such as what happens when a payday loan goes to collections, what to do when a financial downfall occurs and you’re unable to make debt payments, wage garnishment, foreclosures — you name it. If your particular question isn’t answered on the site, you can submit it via the comments on a similar topic, or you can ask a lawyer directly online from the site. 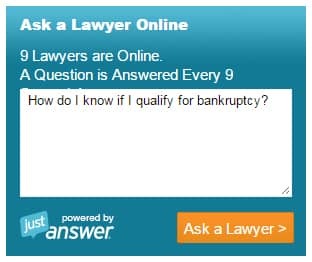 Submit your question directly to a lawyer online for free. Along with the free eBook and 2,500 questions and answers, consumers can also find free legal help on the site. You can find a consumer law attorney to see if you have a case or simply to receive some free legal advice. DebtCollectionAnswers also partners with bankruptcy attorneys who can provide a free evaluation if you’re considering filing for bankruptcy. You can find the file under “Free Worksheet” in the Free Resources section of the site. Gerri and Mary have a combined 40+ years of experience in the finance space. Both are prolific writers whose works have been featured in major media news outlets across the country. Gerri Detweiler is regarded as one of the leading experts on consumer credit. She is the co-author of five books, including The Ultimate Credit Handbook, which was featured in Money Magazine as one of the top five personal finance books of the year at the time of publication. Gerri is the host of a live weekly radio program, Talk Credit Radio, and has appeared in more than 3,000 interviews by top media outlets such as The Today Show, Dateline NBC, The New York Times, USA Today and Reader’s Digest. She holds a master’s degree in adult education and psychology from Norwich University and a bachelor’s degree in international business and political affairs from Taylor University. Mary is a personal finance writer who has authored or ghostwritten a total of 21 books. Her work has been published in Good Housekeeping, Home Office Computing Magazine, Small Business Computing Magazine and more. Mary is also the founder of public relations and marketing firm MR●PR, which plans and implements national public relations campaigns, marketing plans and brand creation, as well as site development, event planning and more. Prior to establishing her firm, Mary was the Vice President of Marketing for a national marketing research firm. She holds a master’s degree in business from Boston University and a Bachelor of Arts from Trinity University in Washington, D.C.
Visit DebtCollectionAnswers to download your free copy of Debt Collection Answers: How to Use Debt Collection Laws to Protect Your Rights, available in PDF, EPUB and MOBI formats.